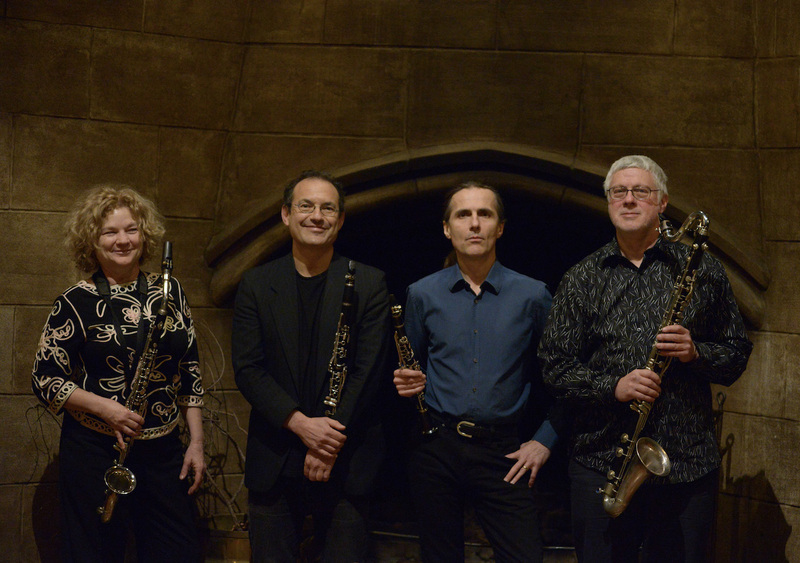 Clarinet Thing will be performing suites by members and arrangements of works by Ellington, Monk, Herbie Nichols, Carla Bley, Jimmy Giuffre, and others. Clarinet Thing is a quartet of renowned jazz clarinetists featuring Sheldon Brown, Beth Custer, Ben Goldberg, Harvey Wainapel that performs arrangements of unusual jazz works and originals on the entire family of clarinets. Clarinet and jazz enthusiasts of all ages abound at their concerts. All members have been regaled in the press including Goldberg who was named the ‘#1 Rising Star Clarinetist’ by the 2011 Downbeat Magazine’s Critic’s Poll. CT is featured in the soundtrack of William Farley's Plastic Man documentary. Founded by Beth Custer in 1989, Clarinet Thing has amassed a large repertoire performing tunes by Herbie Nichols, Carla Bley, Jimmy Giuffre, Thelonious Monk, Eubie Blake, Abdullah Ibrahim, Alexandre Stellio, Duke Ellington, John Carter, and many others. Original compositions by band members are also performed.